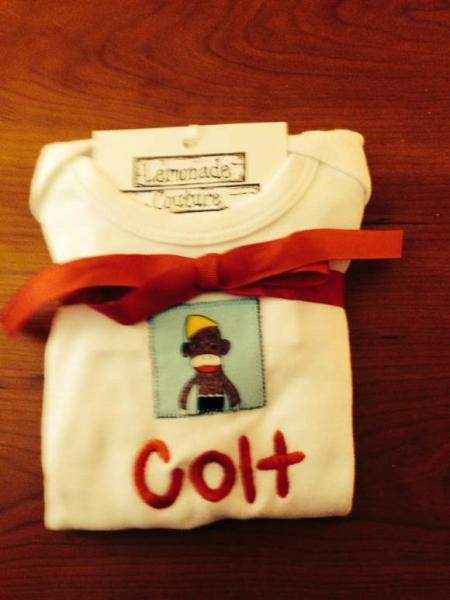 This unique monogrammed baby bodysuit features a sweet sock monkey. 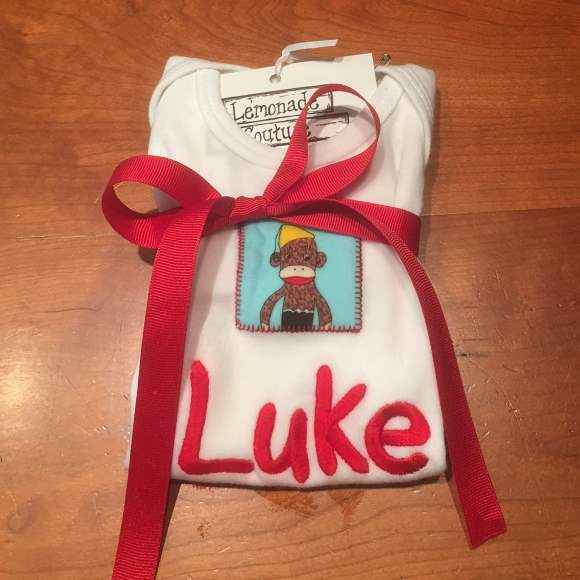 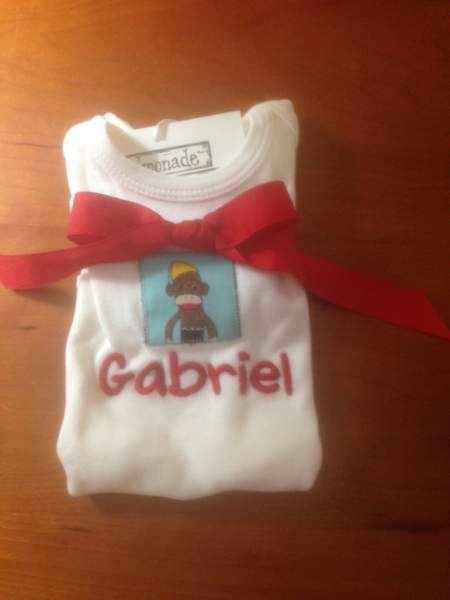 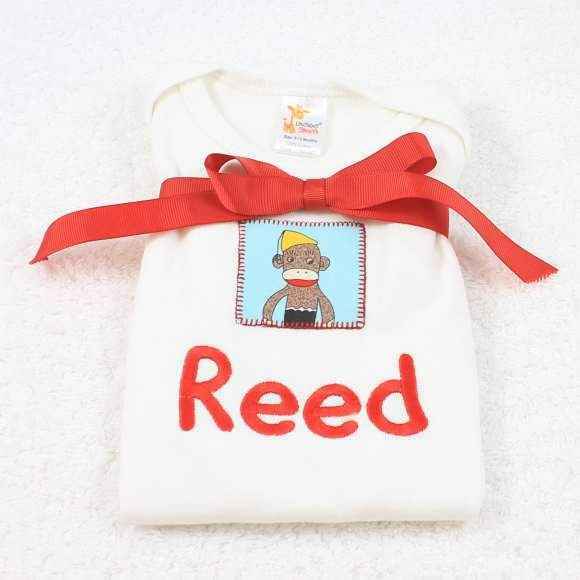 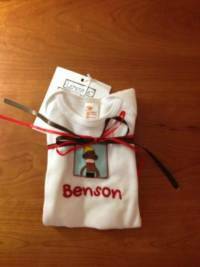 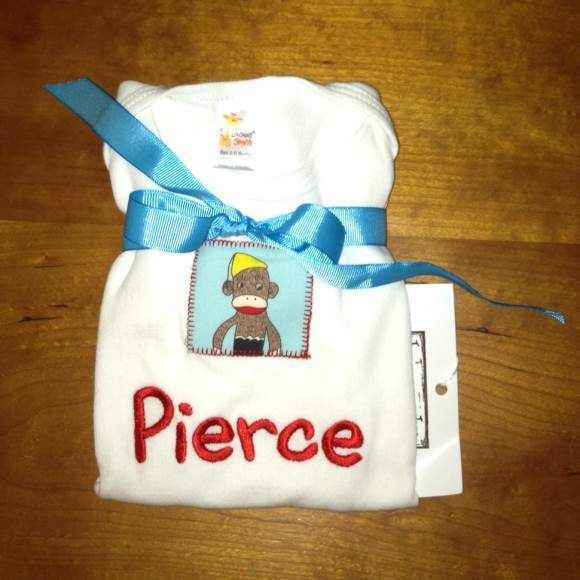 Combine this monogrammed bodysuit for boys or girls with a sock monkey hat, sock monkey blanket, sock monkey tie, or sock monkey doll to make an adorable baby shower gift! 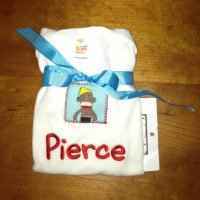 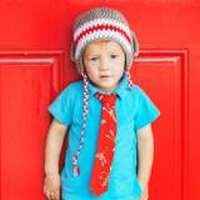 This personalized baby item is perfect for boys or girls. 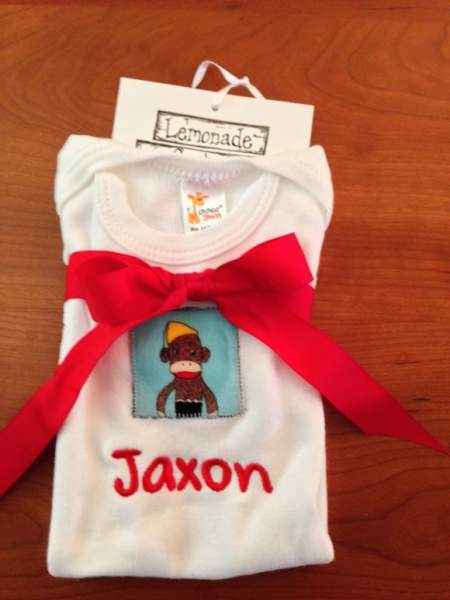 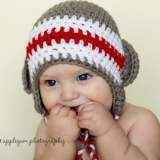 It makes a cute go-to personalized baby gift. The font and thread color for this unique monogrammed baby bodysuit is shown in the photos. 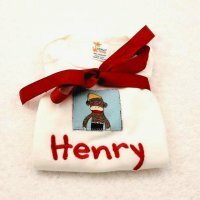 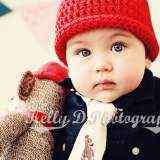 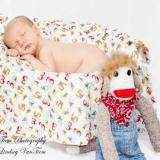 The monogram on the personalized baby item is red. Note: The applique on each unique monogrammed baby bodysuit is handmade individually, and so there will be slight variations from the photos. 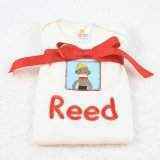 The brands of white bodysuits used with this appliqued bodysuit can vary.